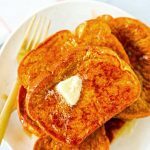 This Pumpkin French Toast Recipe is one of our family favorites! 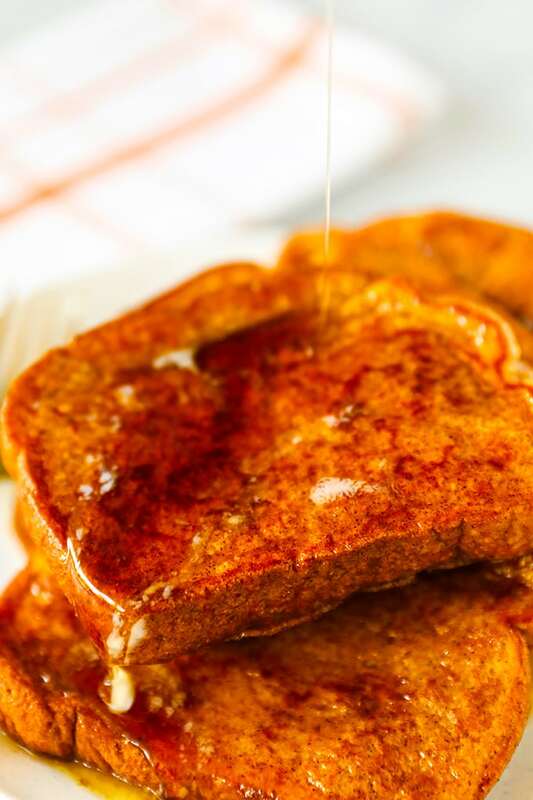 Fluffy pumpkin french toast with a hint of cinnamon and pumpkin pie spice, served with butter and warm maple syrup. If you need a quick and easy family breakfast on a crisp fall morning, this is the perfect recipe. 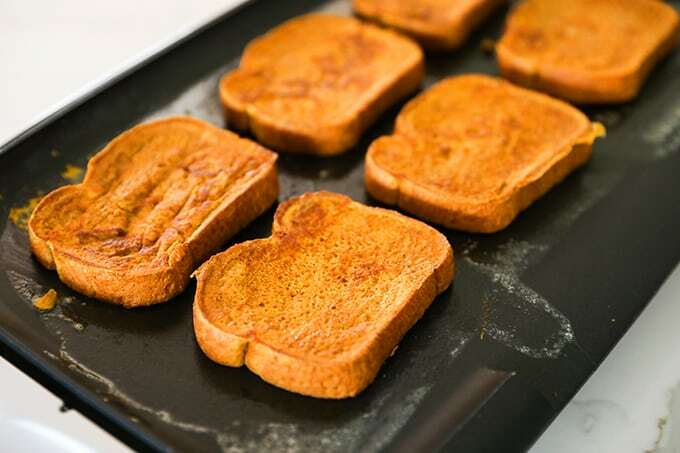 This Pumpkin French Toast has become one of our family’s favorite breakfasts. Every year I look forward to making this for my kiddos. It’s simple and quick, and made with real pumpkin! I use a large mixing bowl or a shallow baking dish to mix up the egg mixture. I like using the thick Artesano brand bakery style bread for french toast. It’s easy to find and it always comes out perfectly! 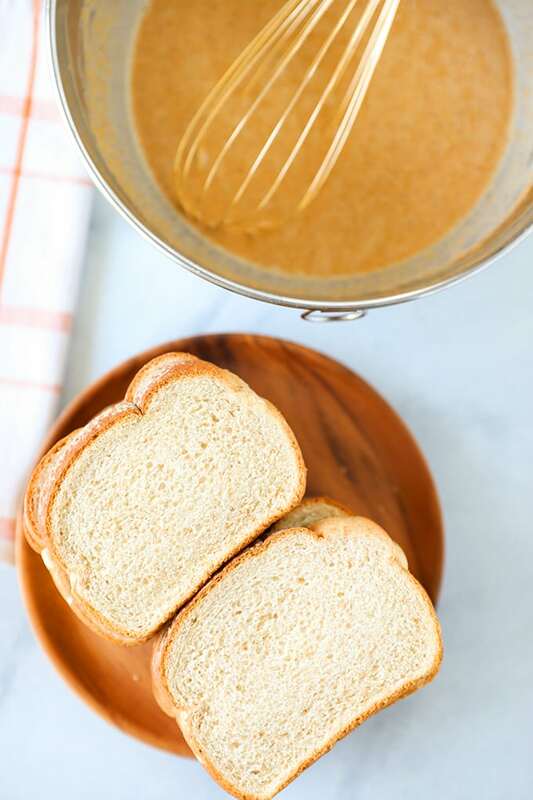 I use the wheat to make the french toast a little healthier, but the white tastes great in this recipe too. 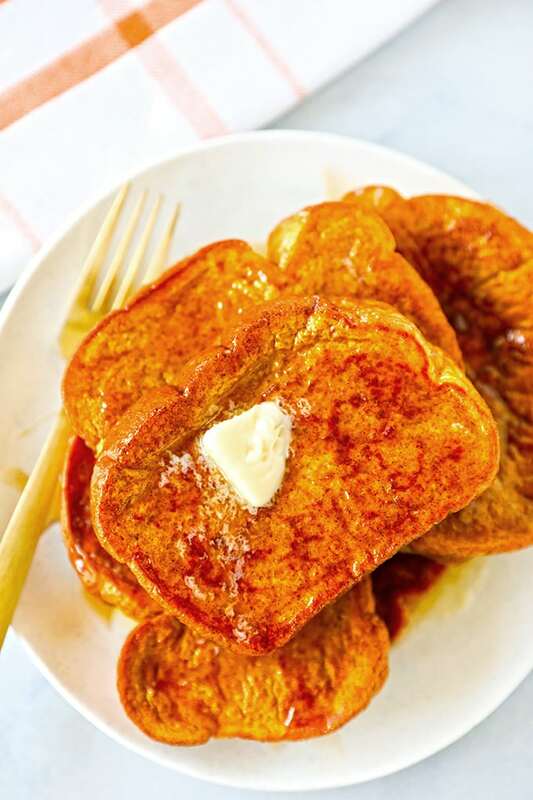 Tip: Make sure you use butter on the griddle when cooking the pumpkin french toast. The pumpkin mixture is very sticky, and the butter adds flavor and keeps the french toast from sticking. My favorite way to serve this french toast is with maple glazed bacon, scrambled eggs and a side of fresh fruit. Easy enough for a busy weekend morning, but elegant enough for a brunch or special breakfast! Preheat non stick griddle to 325 degrees. 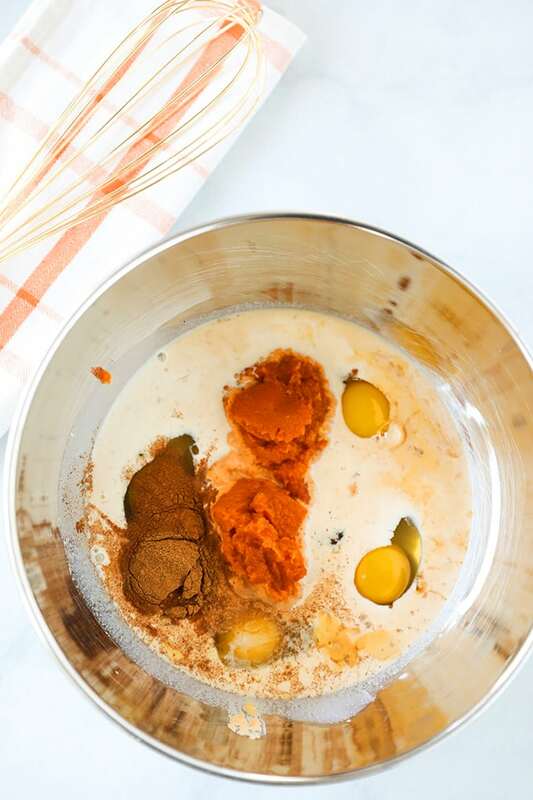 In a large bowl or shallow dish, whisk together eggs, milk, pumpkin puree, brown sugar, vanilla extract, cinnamon, pumpkin pie spice and kosher salt. Melt butter on griddle. Dip french toast in egg mixture, shake off excess and place on griddle. Repeat in batches. Cook until light golden brown and fluffy. Serve with additional butter and warm maple syrup. I think this recipe will be a hit with your family. It’s so easy to make and perfect for the season. I love that it’s not loaded with sugar, and has a bit of veggies (pumpkin) in it!